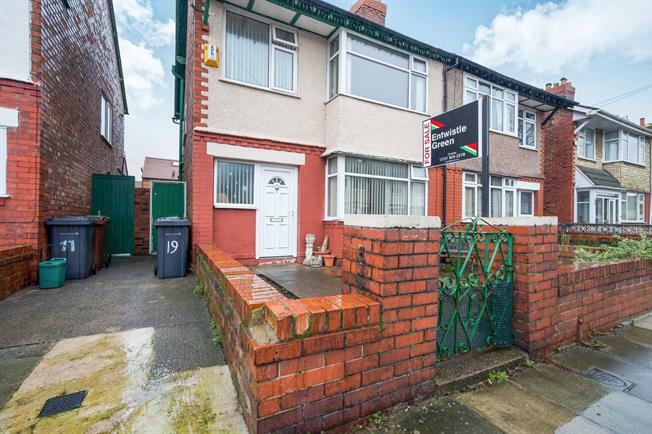 3 Bedroom Semi Detached House For Sale in Liverpool for Offers Over £150,000. Entwistle Green are offering for sale this three bedroom semi-detached family home with no ongoing chain. The property, ideal for first time buyers, briefly comprises; entrance hallway, dining room open to lounge, kitchen, first floor landing with three bedrooms and family bathroom. The property also benefits from gardens to front and rear. Early viewings are advised. Fitted wall and base units with complementary work surfaces. Oven, hob and extractor hood. Sink and drainer with mixer tap. Wood effect laminate flooring. Tiled splash-backs. "P" shaped bath with glass shower screen and thermostatic shower. Low level wc. Wash basin. Heated towel rail. Double glazed uPVC window. Tiling. Paved garden to front. Rear enclosed garden, mostly laid to lawn, with patio and sunny aspect.